What does it take to find a suitable accommodation in New York? Well, good looks and sending the internet into a meltdown help and that is what Rehan Munir is experiencing. 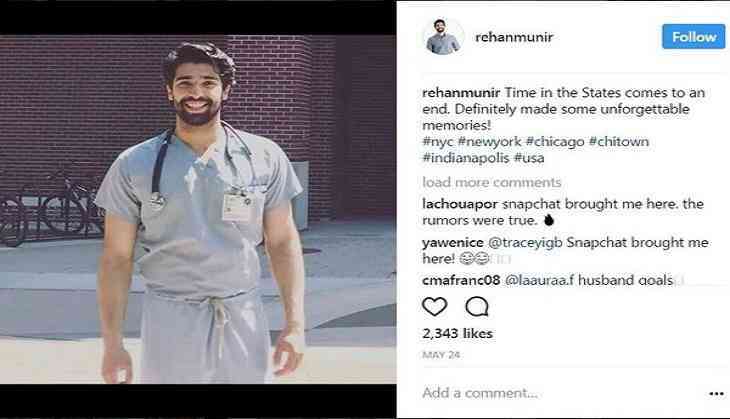 According to The Independent, Rehan Munir from Pakistan experienced "quite the ride" when he posted online that he was looking for a furnished room to rent in Manhattan while doing a rotation at a New York hospital. The 26-year-old medical graduate was advised to post on the facebook page Gypsy Housing that he was looking for somewhere to live in New York. Munir took to Facebook and wrote, "Hello everyone! I'm Rehan and I'm looking to rent a furnished room on the Upper East Side, Upper West Side or Midtown Manhattan. I'm planning to move in around July 20th and stay till August 30th. My price range is about 800 USD, with some flexibility." "I'm professional, friendly and easy to live with. Most of all, cleanliness is of utmost priority to me. Please let me know if you have any leads," he added. He added a couple of photos to finish off his post that sent people into a spin. "I apologize if this is inappropriate, but umm..boyyyy you fine!!" wrote one woman. "Marry me?" commented another person. "He's soooo HOT!!! Damn I wish I had a room to rent to him.. Lol," added another. The comments were picked up by others who criticised them for jumping on a man who was simply looking for a place to stay. "Damn, y'all, you would be going crazy right now if this was a bunch of men talking this way about an attractive woman. Dude just wants an apartment," wrote one user. Well, he did not believe that he would get such response and feels that the response he got is overwhelming. But, right now he just wants to concentrate on his career and is not thinking about getting into a relationship.